Boer mix Suzie Q was born in 2012 and came here from northern Utah. She has a kissable black nose and face, and is a happy and affectionate doe. 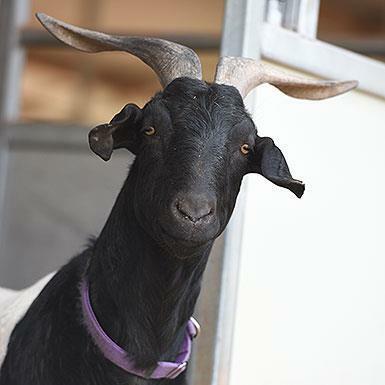 She's lived the good life and is excited to continue it with another goat in your forever home. Do you have time to spare with sweet Suzie Q?